All White Hall homes currently listed for sale in White Hall as of 04/23/2019 are shown below. You can change the search criteria at any time by pressing the 'Change Search' button below. If you have any questions or you would like more information about any White Hall homes for sale or other White Hall real estate, please contact us and one of our knowledgeable White Hall REALTORS® would be pleased to assist you. "LIVE YOUR DREAM! SAVOR THE TRANQUILITY & BEAUTY OF COUNTRY LIVING, WHILE STILL BEING CONVENIENT TO SO MANY AMENITIES! PRISTINE, CUSTOM COLONIAL W/ CLASSIC FARMHOUSE CHARM AND AMBIANCE, CRAFTED TO PROVIDE THE ULTIMATE IN VARIOUS LIVABLE PRIVATE SPACES! YOU WILL FALL IN LOVE WITH THE COVERED FRONT PORCH, PERFECT FOR CASUAL RELAXATION, & THE BREEZY REAR SCREENED PORCH OVERLOOKING THE FABULOUS BACK YARD AND GORGEOUS POOL & PATIO! INSIDE ENJOY THE ELEGANT GOURMET KITCHEN W/ EVERY POPULAR FEATURE, PLUS GENEROUS SPACE TO ENTERTAIN & DINE. UPSTAIRS, SPACIOUS BEDROOMS AWAIT, INCLUDING ONE THAT IS PERFECT AS GUEST OR AU PAIR SUITE. ESCAPE TO THE THIRD FLOOR EXERCISE ROOM OR HOME OFFICE. ON THE LOWER LEVEL, FINE APPOINTMENTS & FINISHES PROVIDE A HUB FOR RECREATION & ENTERTAINMENT! ALL OF THIS PLUS THE HEREFORD SCHOOLS! THIS HOME IS YOUR PERSONAL PARADISE AWAITING YOUR ARRIVAL!" "Stunning Radcliffe contemporary colonial home boasts over 6,000 total sq ft on 6.48 acres in beautiful Timber Ridge Estates. Features a gourmet kitchen with dual wall ovens, hardwood floors, two fireplaces, great room, 5 bed & 5 bath and finished basement with 9~ ceilings. 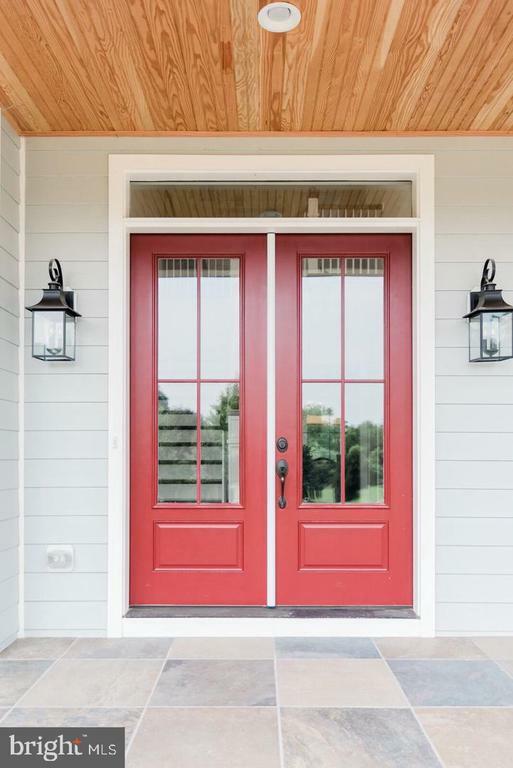 Walk out the kitchen French doors onto a customized Trex deck with full privacy and large yard with plenty of open space that backs up to hundreds of forest preservation acres. Dramatic two-story foyer entrance and two-story sun filled family room with a fireplace. The huge master suite boasts dual walk-in closets and elegant bath; another bedroom has an attached bath and large closet; the other bedrooms attach to a Jack & Jill bath and have walk-in closets. 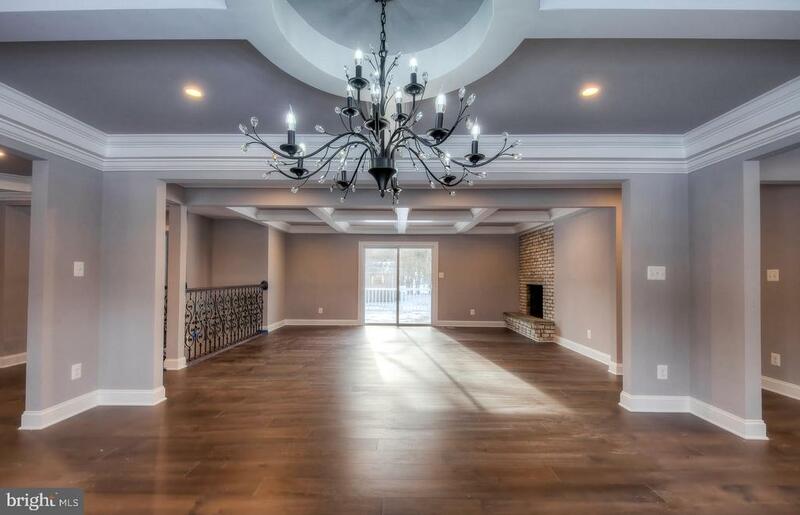 The entire basement is acoustically sound-proofed, wired for stereo and features a theater room, full bath, great room with a fireplace and wet bar with plenty of storage space and separate exercise room with universal fitness equipment. Basement walks out to graded yard. The home is equipped with 2 HVAC units to ensure proper heating & cooling. There is also a security system in place for added protection. Oversized side-loaded 3-car garage and additional 12~x30~ detached garage included. The home sits on a beautiful partially wooded 6.48 acre lot that provides serene and tranquil privacy! 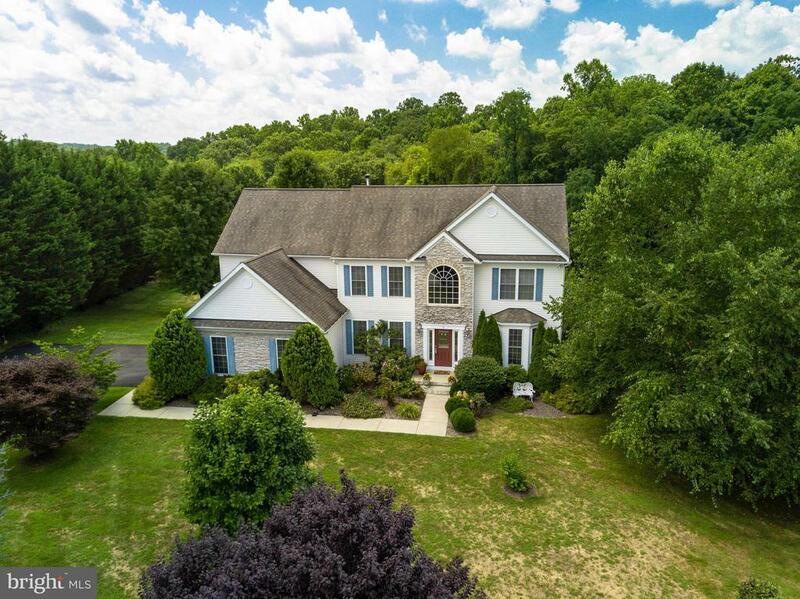 Perfectly located 25 minutes to Hunt Valley, Bel Air, Towson, and only minutes to Rt. 83." "Gorgeous house, custom built nestled away on 5.56 protected acres. Perfectly located 20 min. to Hunt Valley, Bel Air, Towson, and 7 miles to Rt 83. This open concept home has been immaculately maintained and offers a combination of privacy and quality that is hard to match. Features a gourmet kitchen, great room, 4 bed, 4.5 bath, finished basement w/ wet bar, and 3 car heated garage, 5712sqft." 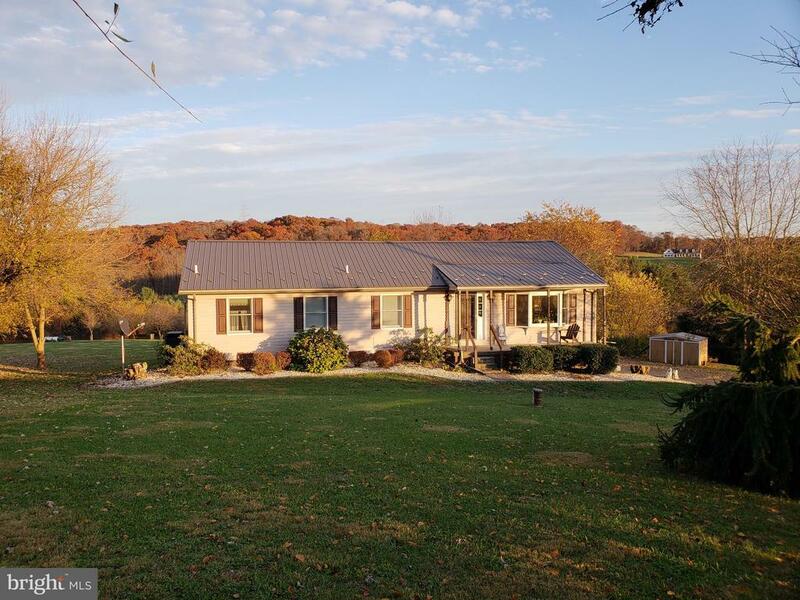 "Peaceful privacy awaits you in this stunning beauty, set on over 2.5 pastoral acres! You are welcomed inside by its elegant two-story entry foyer, flooded with natural light that complements the gleaming hardwood floors and uniquely curved staircase. Continue into the grand two-story family room, punctuated by a gas fireplace to keep you warm throughout the cooler months. An open concept design leads you into the adjacent kitchen, updated to include granite counters, stainless steel appliances, and abundant cabinet and counter space for easy meal prep. You can find a butler's pantry off the kitchen and dining room. An upper level landing gives way to four generously appointed bedrooms, including the grand owner's suite with its large room size and private owner's bath. The unfinished lower level is a large accommodating space, with walk-out access to the rear yard --ready for future expansion and flexibility! Boasting over 4,600 finished square feet with a three-car side garage, county trash pickup and snow removal, no HOA fees and peaceful cul-de -sac setting, this one truly has it all! CONTACT ALT CO-LISTING AGENT for more information. DIRECTIONS: From Route 23/Norrisville Rd. turn left onto Church Lane. Follow approx. 3/4 mile and stay right onto Duncan Road. Left on Long Corner Road approx. 1 mile to right onto Timber Ridge Circle to 3109 on left. From I-83 take Route 439 exit to Route 23 North." "** SIMPLY WONDERFUL! 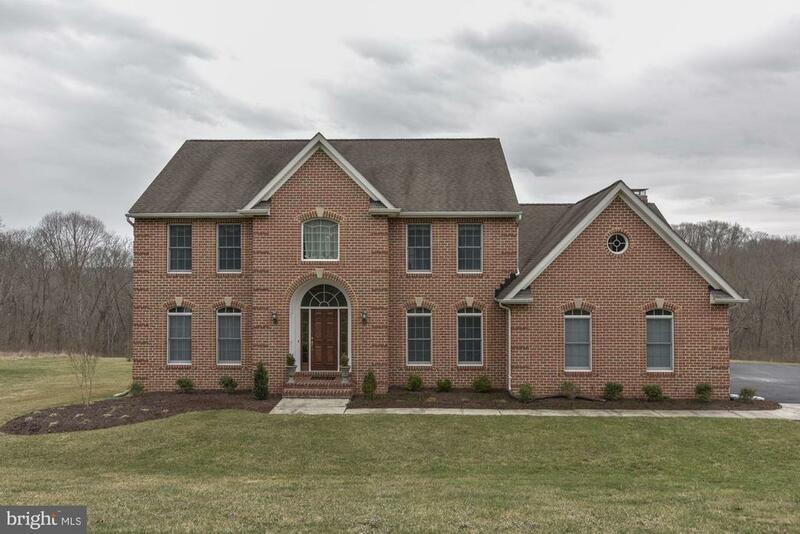 ** EXCEPTIONAL VALUE ON THIS GORGEOUS BRICK FRONT COLONIAL W/OVER 4700SQ FT! STUNNING 2-STORY FOYER. OPEN KITCHEN W/CUSTOM MAPLE CABINETS, ISLAND, STAINLESS APPLIANCES & BREAKFAST BAR. LARGE FAM RM W/WOOD BURNING FIREPLACE. 1ST FLOOR MASTER BEDROOM SUITE W/CATHEDRAL CEILING &RENOVATED BATH. 1ST FLOOR LAUNDRY ROOM W/FULL BATH. SPACIOUS LOWER LEVEL W/HUGE RECREATION ROOM, WORKSHOP, FULL BATH &WALKOUT. BREATHTAKING VIEWS FROM DECK. 3 CAR SIDE LOAD GARAGE. NEAR GREYSTONE GOLF COURSE! * A GREAT FIND! YOU WILL BE AMAZED! 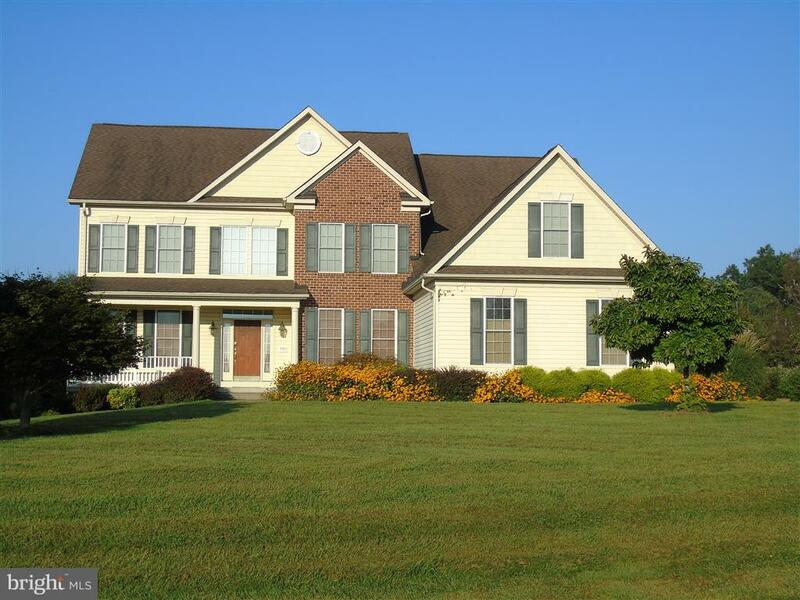 *"
"Gorgeous 5 BR, 3.5 Bath Graystone Farms Estates 1.10 acres! over 5050 total sq ft! Gourmet kitchen w/new stainless, granite, sunroom, 2-story Fam Rm, 2 new hvac systems, newer roof, new driveway. Huge lower level Fam Rm/Club Rm, BR, Full kitchen & bath easily used as in-law, au pair suite or entertaining! Prof landscp-slate patio, huge deck, awning, view, land, minutes to 83 & Hunt Valley. HZ schools!" "Hemlock Hills neighborhood. Close to the Hike and Bike Trail and Gunpowder River! Rural setting with beautiful plantings and landscaping. Grand and spacious home showcases a nice blend of the 1800's and today. First floor in-law suite: large bedroom, full bath, family room with brick fireplace/ cathedral ceiling and covered porch. Your own private oasis, includes an in-ground pool, huge two car detached garage with rear storage area and lots of driveway parking. Magnificent L-shaped screened porch to entertain all of your friends in or just to relax on. Formal and not so formal rooms...you decide. 6 fireplaces and gleaming hardwood floors. Level yard to play in...lots of acreage to roam for the nature or animal lover. 10 minutes from Mt. Carmel Rd exit, on the boundary of Monkton (21111) and White Hall (21161). Hereford Zone!" "Welcome to this meticulously maintained, turn key, brick-front colonial located in the Hereford Zone. It will wow you with its well-thought out design and scenic views of nature. The main level features an office with French doors, a living room that opens to the dining room, and an expansive, eat-in kitchen that opens to the family room. The kitchen boasts granite countertops, stainless steel appliances, a walk-in pantry, center island with breakfast bar and an eat-in area. The family room features a vaulted ceiling, ceiling fan and a brick, wood-burning fireplace. Access the maintenance-free deck from either the kitchen or the family room. The deck, a portion of which is covered, overlooks the beautiful, flat backyard which is perfect for entertaining and playing games! Behind the property is acres and acres of conservation land which offer spectacular views of nature as far as the eye can see. 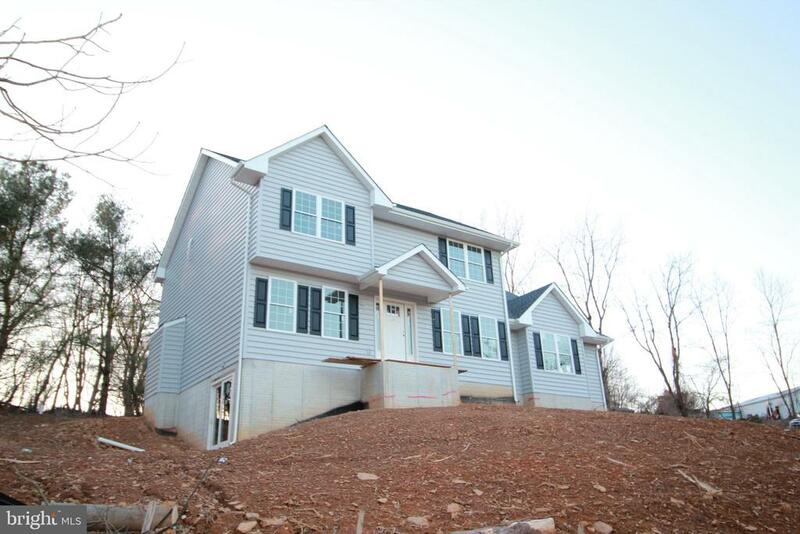 The upper level has a master bedroom with an en-suite bath & walk in closet, 2 additional bedrooms & another full bath. The fully finished walk-out lower level features a 4th bedroom, a full bath, and a large laundry/storage area. The home also has storage under the covered portion of the deck and above the 2-car garage. Recent updates include a new well tank (2017), HVAC (2018), and hot water heater (2019). Minutes from I-83 & the NCR biking/jogging trail. This is a must see!" "Open floor plan with soaring ceilings & Butler stone fireplace. Gourmet kitchen with granite, stainless, 2 dishwashers & more. First floor master suite with garden bath and sliders to deck and hot tub. First floor family room. Second floor features 3 additional bedrooms one with ensuite bath. Very private setting backing to woods. Only minutes from I-83, the bike trail and the Gunpowder River. Hereford Schools." "Don't settle for anything less than what you want- build your dream home on ultra private and peaceful homesite! 3.42 acres of wooded land in White Hall. Use our preferred builder for a hassle free experience! See documents for building plans. Call today to learn more!" 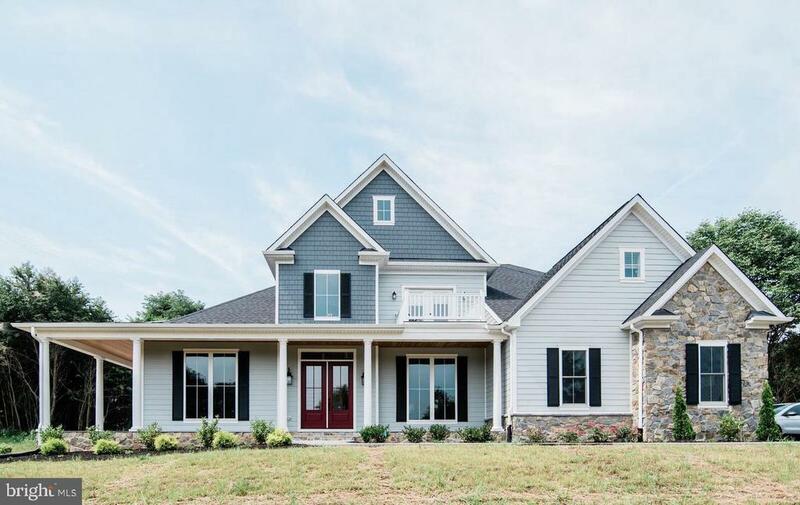 "New to the Hereford Zone is a new custom built home with high quality materials and craftsmanship. Set upon a picturesque lot, 2500sf colonial style 4 bed, 2.5 bathroom home. Two story foyer, over-sized kitchen, sun room with vaulted ceilings, upgraded molding, master bath with marble tile and much more. The home is now available for early showings. Expected completion date is 4/8/19. Call for more details." "Stunning Renovation of 3,756 square foot home!! New Roof, Gutters, PVC deck with Vinyl Railings. Two wood burning Fireplaces. Maple Hardwood Flooring, Coffered and Tray Ceilings. Stainless Steel Appliances and Quartz Countertops. LED Lighting. New Electric, Plumbing and HVAC. Hereford School Zone. This property is eligible for 100 percent financing through the USDA Loan Program." 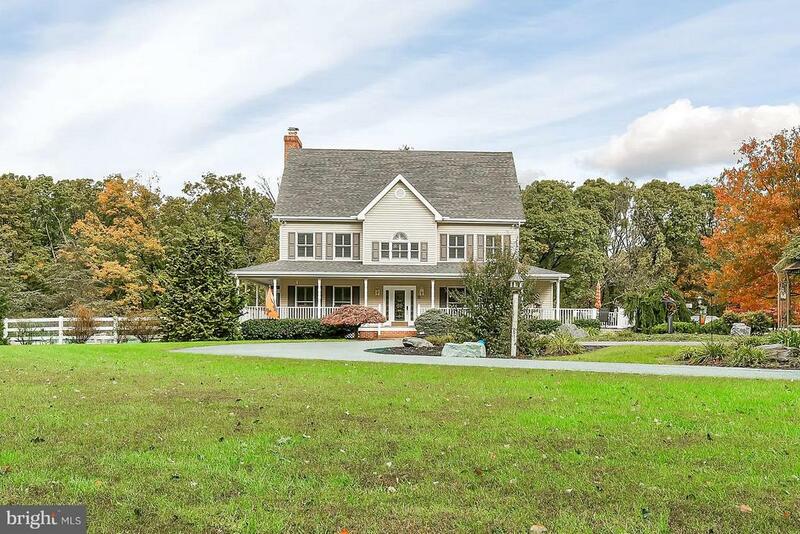 "Beautiful spacious contemporary colonial with over 2,900 total sq. ft on 1.54 acres in Shane Valley. Features a remodeled kitchen with newer appliances, laminate hardwood floors throughout, fireplace, great room, sliders to back deck, 3 full baths and a half bath in lower level walkout with sliding doors to hot tub and pool. Separate Laundry Room. Master Bedroom with walk-in closet. Home has just been freshly painted, Lower Level was just completed and adds 1000 sq. ft. to the house. Tax record does not reflect newly finished lower level and half bath. Beautifully maintain yard, garden with fountain and small fish pond. Roof has architectural shingles 1 year new. Well pump 5 yrs. with new electric wired. Newer Hot Water Heater, new hot tub cover, tar and chip driveway. Original Owner shows pride in this home. 12 x 22 Storage Shed. Open space provides serene and tranquil privacy! 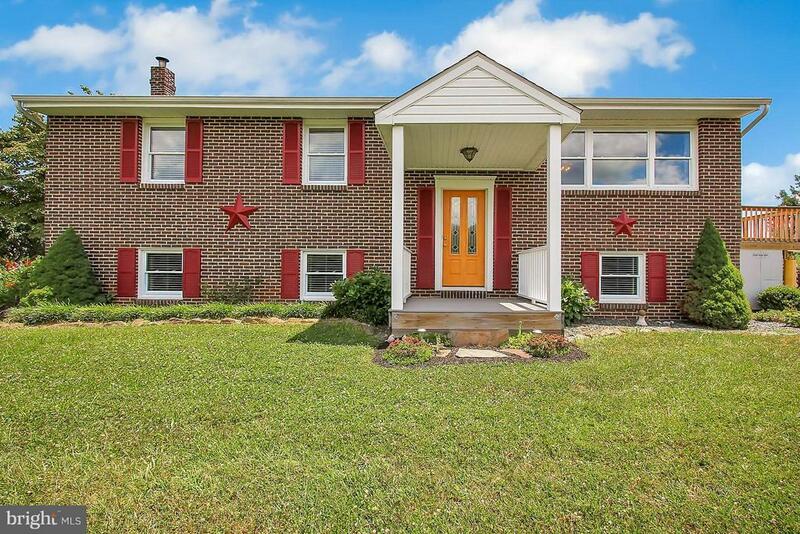 Perfectly located 25 minutes to Hunt Valley, Bel Air, Towson, and only minutes to Rt. 83. What I love about this home - Quiet location. Beautiful lot. Blue Ribbon School District. Great neighborhood. Very private back yard. Pool, hot tub and pond/garden." 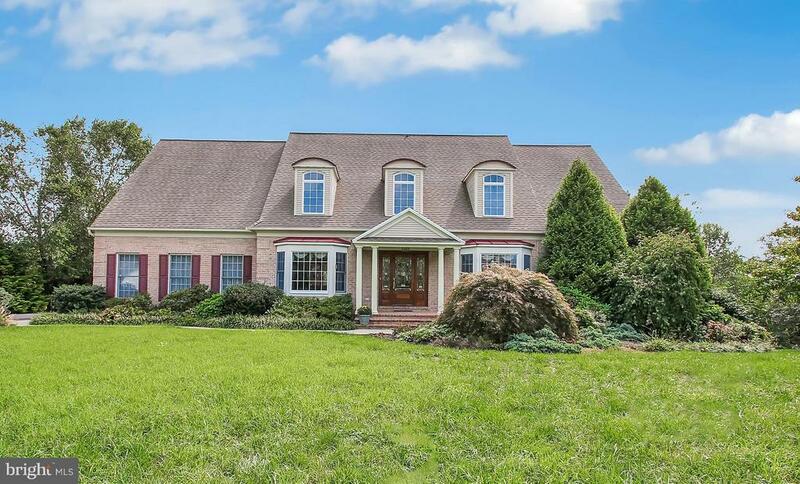 "Beautifully maintained split foyer in White Hall, nestled on 1 acre of land! Private master suite including attached bath w/ jazuzzi tub. Lower level with additional living space featuring gorgeous wood & coal burning stove surrounded in stone. Sun room in rear leading out to multiple decks, patio, private backyard and gazebo! 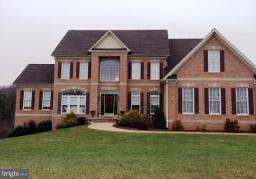 Convenient location, just 30 minutes to Hunt Valley, York and Bel Air!" 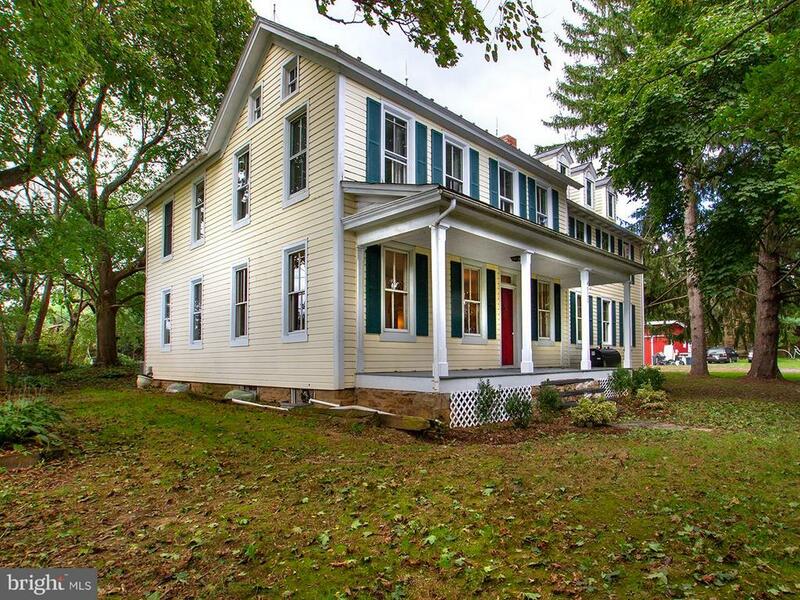 "Traditional 1800's colonial home with wood floors, 9' ceilings on the first floor, long windows and original trim. Two story addition provides vaulted ceiling Master Suite, whirlpool bath, sitting room, and separate bedroom/study with loft. Plus 3 additional spacious bedrooms. Two finished rooms in lower level. Attached in-law suite on main walk-in level and separate entrance, In-law suite offers kitchen, living room, bedroom and full bath. Three separate outbuildings. Hereford Zone Schools." 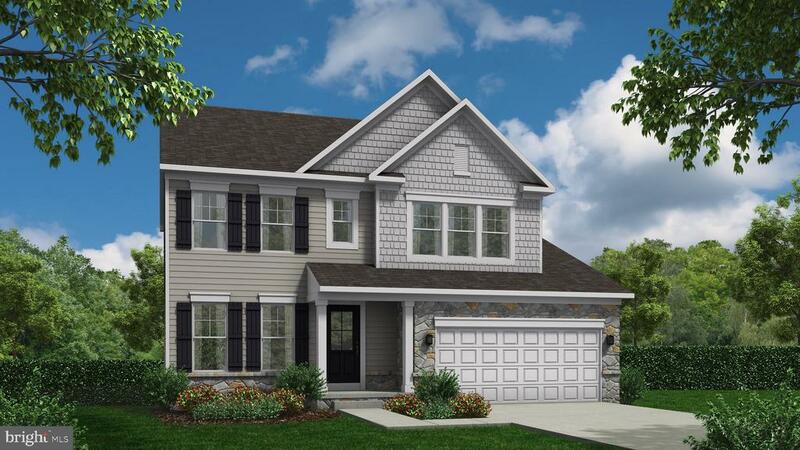 "Gemcraft Homes to be built in Norther Baltimore County. 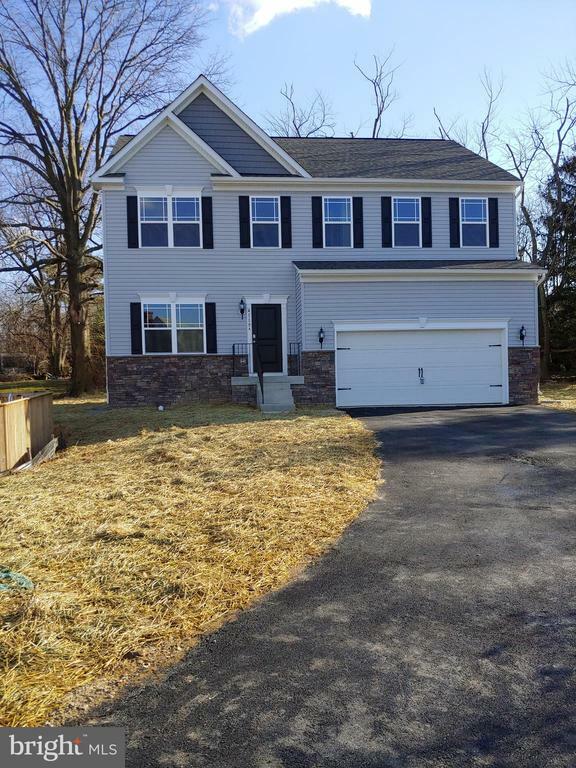 Featuring 4 bedroooms, 2 1/2 baths, 2 car garage, large kitchen with 42 cabinets, granite counter tops, great room, large master suite with deluxe bath, 2nd floor laundry room and much more! Photo's are of a like model. Base price listed. Taxes are on land only." "Enjoy country life in this wonderful spacious rancher situated on a picturesque 2 acre lot. This home offers master bed room with master bath room & French doors to deck. Marvel at the gorgeous sun sets while lounging in the hot tub located on deck. 2 more spacious sized bed rooms. Great country kitchen, with tons of cabinets and counter space. Open & bright living room and dining rooms. Large finished lower level family room with built in wet bar. LL also has 4th bed room or home office with additional powder room. Recent roof and HVAC system. Updated bathrooms. Great location near Blue Ribbon schools, shopping, library, rec center, etc. Many updates thru-out." 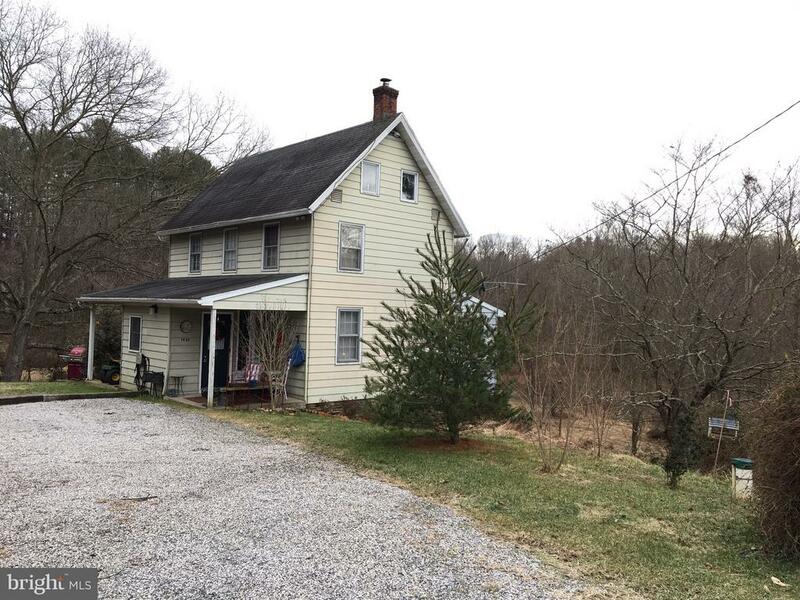 "THIS (4) BEDROOM FARM HOUSE HAS COMFORTABLE SIZE ROOMS AND GREAT FLOW FOR PARTIES! GRANITE COUNTER TOPS & STAINLESS STEEL APPL. IN LARGE EAT-IN KITCHEN. HANDSOME HARDWOOD FLOORS. GENEROUS DETACHED CINDER BLOCK CHECK THE SCHOOLS. BUILDING W/ ELECT. SET-UP WORKSHOP,TOOLSHED, ARTS & CRAFTS CENTER. OVERSIZE (2) CAR GARAGE ATTACHED TOO. FLAT SIDE YARD FOR SPORTS. DINE AT THE MANOR TAVERN. SYSTEMS UPDATED & A GENERATOR. BRAND NEW SEPTIC SYSTEM!!" "Great opportunity to own this 3 bed/ 2 and a half bath detached home in the picturesque area of White Hall with idyllic views. 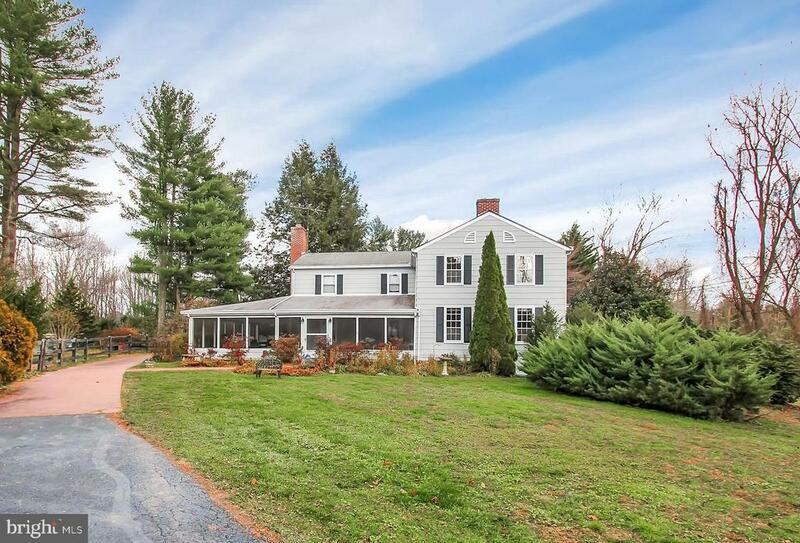 So much potential to turn this house into your dream country retreat." 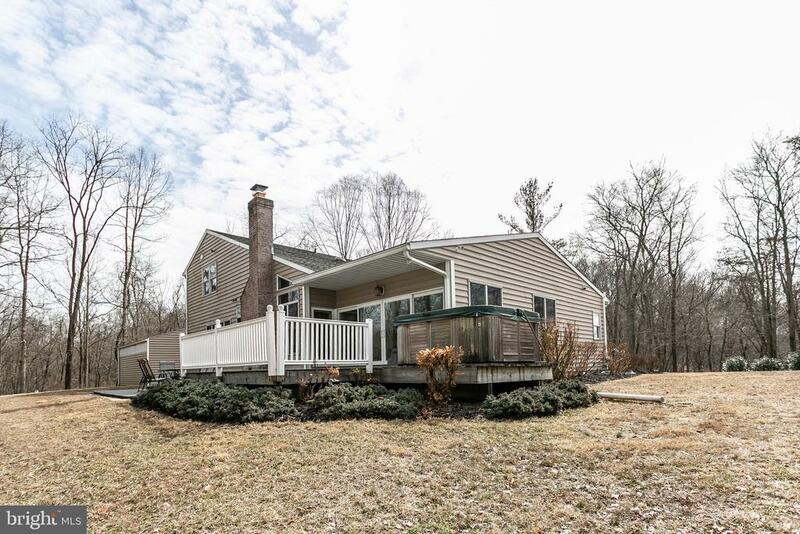 "Don't miss this split foyer home seated in an enormous lot approximately more than 1.8 acres! 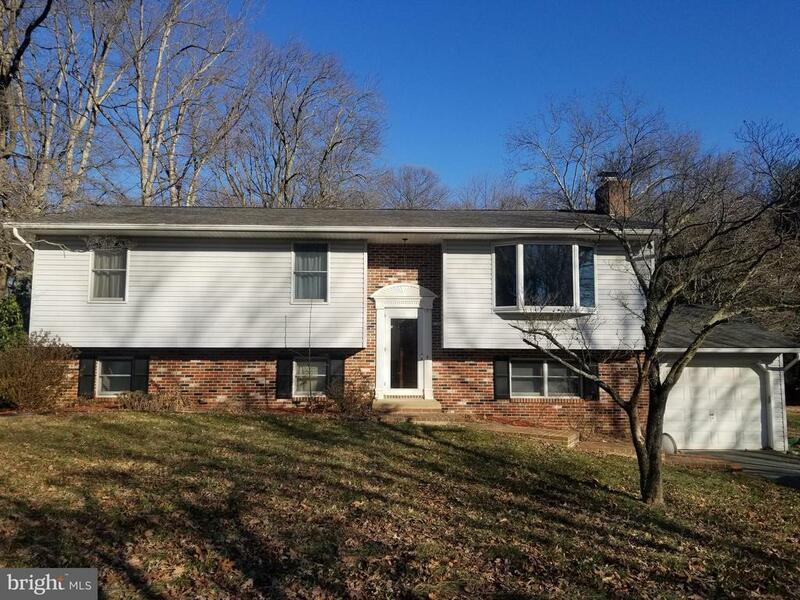 Enjoy spacious room sizes, wood floors, separate dining area, lovely kitchen with wood cabinets, granite counters & ceramic floor tiles, large family room that leads to rear deck overlooking wooded area, and master suite with full bath. The fully finished basement has a spacious recreation room with brick fireplace, 2 bedrooms and a full bath. The attached garage at the front makes this home complete. A great family home! Make your appointment today." "If you are looking for privacy, this is your new home. 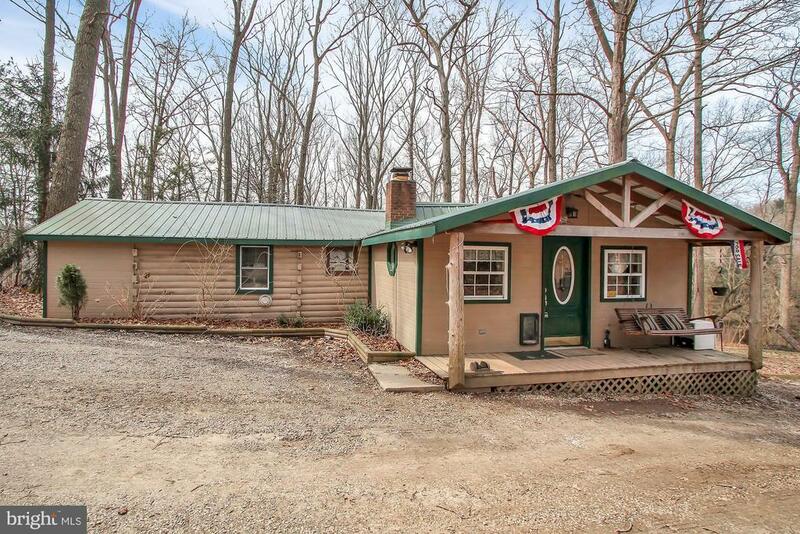 This log cabin overlooks 2+ acres with private deck in the rear with hot tub. Woodstove and fireplace helps with heating and kitchen/bath have been updated. Walk to Deer Creek and enjoy the water. Property includes an additional 0.5 acre lot that borders Deer Creek so the owners have a private access to the creek."